Grave : Plot II. Row A. Grave 29. 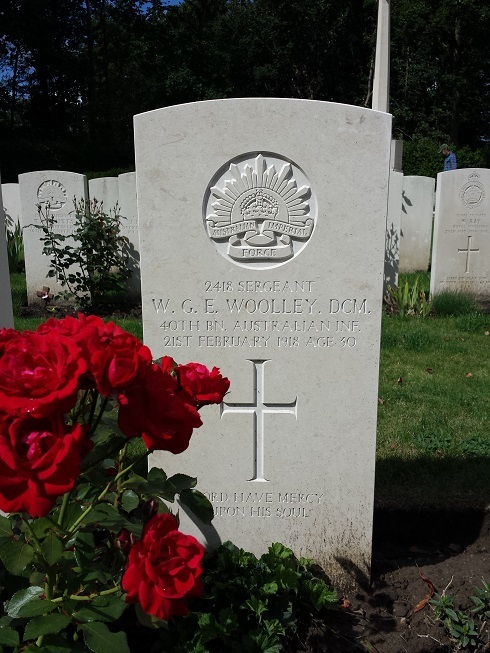 William George Edward Woolley was a son of William and Sarah Woolley. He was born in Macquarie Plains. He was married to Julia E. Woolley, of Uxbridge, Tasmania. Woolley was awarded the Distinguished Conduct Medal.